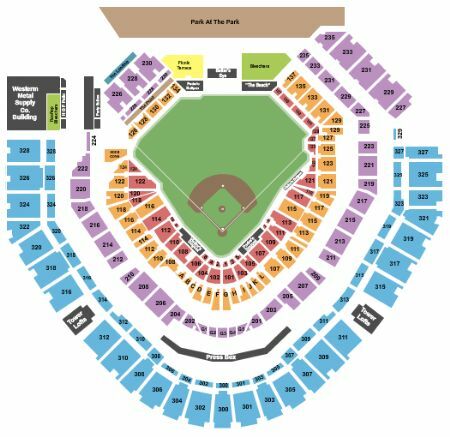 San Diego Padres vs. San Francisco Giants Tickets - 7/2/2019 - Petco Park in San Diego at Stub.com! Does not include admission to event. Tickets will be ready for delivery by Jul 01, 2019. First row in this section. Tickets will be ready for delivery by Jun 30, 2019. Padres Pregame Experience Package includes a Field Box game ticket in sections 101 thru 113 or 102 thru 114 (orders of three or more may be split) | Pregame behind-the-scenes tour of the ballpark with the ability to witness game day preparations up close | $25 food/beverage credit included with each ticket | Collectible San Diego Padres memorabilia item (1 per person) | Parking pass (1 per order) | Ticket upgrades available upon request |.